Albert C Ledner, an apprentice to Frank Lloyd Wright who helped proliferate modern architecture across the US, has died in New Hampshire aged 93. Ledner, who died last Monday, 13 November 2017, was best known for his trio of meeting halls and facilities for the National Maritime Union. 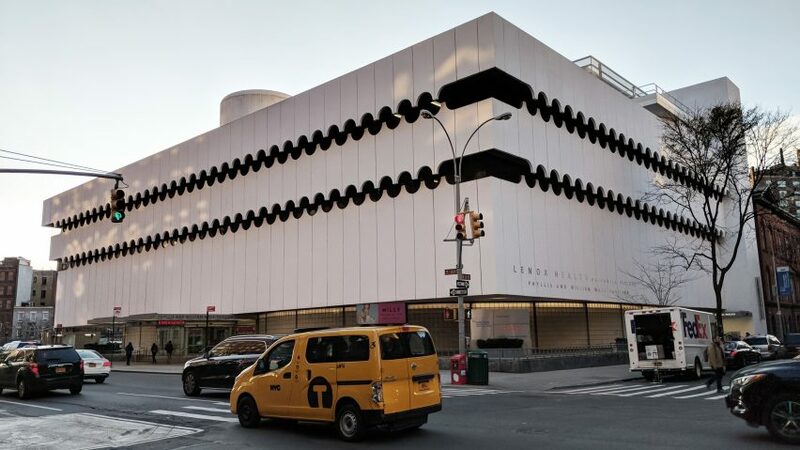 They include a building in Manhattan's Chelsea punctured with hundreds of porthole-like windows, which is now the Dream Downtown Hotel, and a tiered white structure in Greenwich Village that currently serves as the Lenox Health Center. 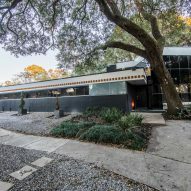 His playful approach to architecture also resulted in a origami-like building with a folded star-shaped roof and a home decorated with amber-coloured glass ashtrays – both in New Orleans, where he completed over 40 projects. Ledner was born in the Bronx, New York, in 1924, but moved to Louisiana with his parents shortly after. 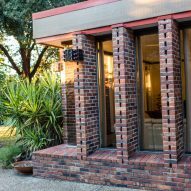 His studies at Tulane School of Architecture were interrupted by the second world war, when he volunteered in the Army Air Corps. 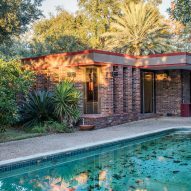 This took him to Arizona, where he visited modernist architect Frank Lloyd Wright's winter home and studio Taliesin West. After graduating from Tulane, Ledner drove to Wright's summer residence in Spring Green, Wisconsin and worked alongside the architect as an apprentice for several years. 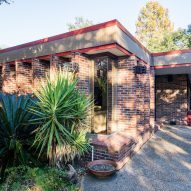 By 1951, he was back in New Orleans and had set up his own practice. In 1961, he was asked to build a house in the city for Adrian Sunkel and his wife, Patricia – a former classmate. 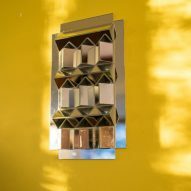 Both enjoyed smoking, so Ledner used an orange-toned ashtray he spotted at their previous home as a dentil on the new building. 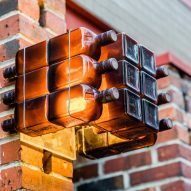 Around 1,200 of the glass squares were used to decorate the facade of what is formally known as the Sunkel House, but more commonly referred to as the Ashtray House. His commissions for the National Maritime Union came in the 1950s, but the buildings weren't completed until the next decade. They were later sold to different buyers, repurposed and renovated. Ledner continued working until recently. His photographer daughter Catherine Ledner has created a film about his life and career, which was shown at the Architecture and Design Film Festivals in New Orleans and New York this year.